Missing having a place to call your home is certainly not uncommon for college students of any age. Halfway through the semester, students begin to feel waves of homesickness, and living in a dorm can be a daily trigger of those feelings. The solution? 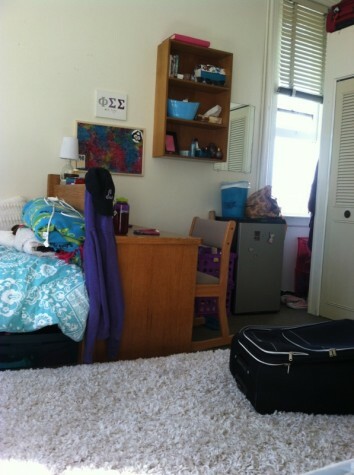 Make your dorm room as homey and livable as possible. Sophomores Tatiana Taylor and Mollie Jenson have done exactly that. 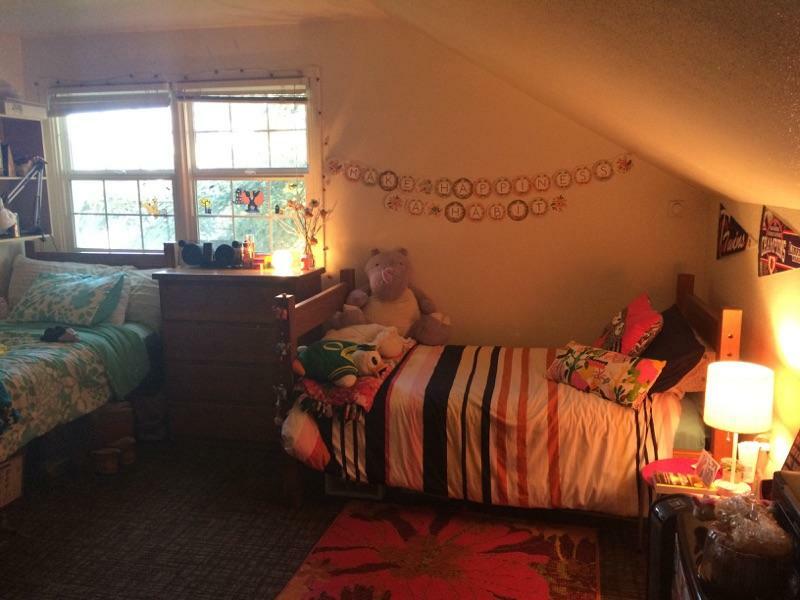 Current residents of Miller Hall, Taylor and Jenson have given Pinterest a run for its money with their room décor. With quotes like, “Make happiness a habitat” strung across the walls, their room certainly has a homey ambiance. Taylor and Jenson have even taken it upon themselves to decorate their humble abode for the fall season with mini pumpkins and other autumn-themed adornments. Jenson’s love for sports shines through her side of the room with flags and posters hung upon the walls repping her favorite teams. Taylor’s half of the room shows pride for her Phi Sigma Sigma sorority with letters and other crafts from her sisters. And what could be more homely than a rug to tie the entire room together? 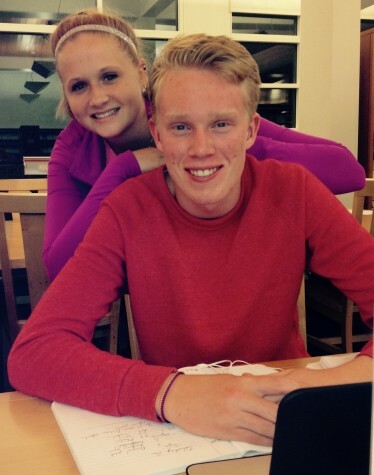 With complimenting color schemes and personal touches, Taylor and Jenson are proud to call their Miller dorm room home.